10 Questions Every Small Business Owner Must Ask a Potential Web Designer - iSmallBusiness.com - Small Business Stuff That Matters...Pass It On! Having an up-to-date website is crucial for any small business owner. For those that have little or no knowledge of web design, it might seem like a daunting task. However, an experienced web designer should be able to ease your mind and provide you with a functional, user-friendly website designed specifically for your small business. Here are ten questions you should ask any potential web designer before starting a work contract together. 1. What work will be done personally and what work will be outsourced? 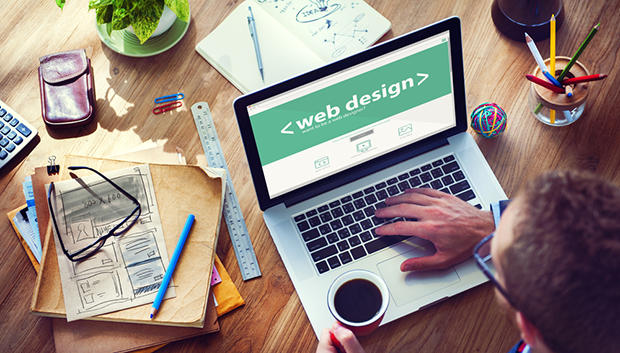 There are many aspects to developing a website, from writing code to graphic design work. Find out if the web designer plans to create original graphics or have them done by someone else. This is the same for photos, text content, videos or anything else you may need on your website. Also, find out if you will be working directly with the web designer or a Project Manager. 2. Can I see samples of your previous work? Any professional web designer should be able to show you their portfolio containing samples of previously designed websites and any graphic work you may be interested in. Are the sites easy to navigate? Are they engaging? Would you want the designer of these sites to create a site for you? If you answer no to any of these questions, you should look to a different web designer. 3. Can you meet my project’s deadline? Instead of asking a web designer about average turnaround time or how long a typical website project takes, be specific about what you want done and by what date. The time it takes to develop a website depends on how much information and how many interactive elements you would like to include, such as integrating a newsletter opt-in or online shopping cart. Make sure you take the time ahead of the initial consultation calls to adequately outline your website requirements, the pages you want, the navigation you want, the colors you like, examples of current sites you’d like to mirror and any add-on or integration pieces like the shopping cart, social media buttons and/or newsletter opt-ins. 4. What will be the total cost of my project? First, find out if the web developer charges by the hour or by the project. Make a list of everything that you will need for your website and find out what is included. Web developers may offer additional services at additional costs, such as logo design or hosting. Be up front about what you need and what you expect to pay for. It is beneficial for both parties to have a contract in place stating specifically what is covered and at what cost. Also, ask about revisions. Some designers will quote cheap rates, but not include revisions, and it usually takes three to five revisions on average between the initial website and the final product for clients to get what they desire out of their website. Check on the revisions clause before signing any contract. 5. What will my role be in developing the website? Find out what information you need to provide the web developer with, such as logos, images, copy, etc. Be sure you are able to provide all of the information the web developer will require from you, and if there are things you can’t – ask what they would charge to do those things for you. Most designers will expect to be handed a color palate, comparable sites, an already created logo, and all the website copy (copy means every word on every page). If you need to have those things created, that’s an additional expense and time consideration for your project outline. 6. How will my website’s domain name and hosting account be handled? Make sure that your website’s domain name and hosting accounts are in your name and not the name of the web designer. Some web designers offer hosting through their company while others outsource. Find out the monthly fee for hosting your site. No matter how the domain name and hosting are purchased, make sure they are in your name; transferring at a later date could cause unnecessary issues and can make it incredibly difficult to get control of your website back if or when you want to use another designer. Be very careful about this as there are a number of scam artists that lure small businesses into their “complete package” including hosting, but then keep your domain URL under their name and account, forcing you to keep them on at a monthly fee or risk forfeiting your URL. Always get the URL yourself through a site like Go Daddy, Gator Host, or Bluehost. 7. Will my website be multi-browser and mobile compatible? Because your website can be accessed by such an array of devices and browsers, be sure that the layout and content on your website remains consistent on a variety of browsers and mobile devices. This is generally referred to as responsible design, so make sure any site creation includes a responsive design since close to 80+% of all websites are viewed from smartphones these days. 8. Do you provide website maintenance? If the answer is yes, find out the monthly fee and get a contract stating specific maintenance you would like covered. If the answer is no, ask if they offer custom training for yourself or someone in your company. Also, be aware of how to handle technical malfunctions or site breaks. If they don’t cover website maintenance, you may want to look into outsourcing that task and the costs to do that before you create your website. Many small businesses offer maintenance for things as you need it, vs. ongoing, which can typically save small businesses that don’t have online shopping carts and more static content a lot of money month over month. 9. Do you offer SEO (Search Engine Optimization)? Having a company website is pointless if no one can find it. SEO is a marketing strategy that makes your website more search engine friendly, meaning that it is more likely to show up in a Google or Yahoo search. The purpose of your website is to attract business so it is important to address how the web designer can optimize your site for search engines using things like page descriptions, meta-tags and other SEO design best practices. If they are not providing your copy, and most likely they will not, make sure you know how to write your page copy for SEO or hire a professional copywriter who can write your website copy with SEO in mind. 10. Who owns the website and content once the project is over? You should always make sure that you will own not only the URL, but also the final project. Website and graphic designers have the right to legally claim their designs. Be sure to negotiate final ownership before any work begins. You will want to make sure that you will own all logos, graphics, photos and anything else necessary to keep your website maintained. When looking for a web designer, it is crucial to be informed and confident. Make sure the web designer can answer all of these questions and any others you may have before making a final decision. Matthew Toren is a serial entrepreneur, mentor, investor and co-founder of YoungEntrepreneur.com. He is co-author, with his brother Adam, of Kidpreneurs and Small Business, BIG Vision: Lessons on How to Dominate Your Market from Self-Made Entrepreneurs Who Did it Right .